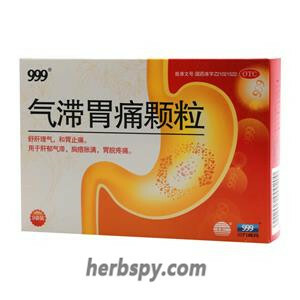 For stomachache,loss of appetite,abdominal distention due to the spleen and stomach deficiency cold, qi stagnation and blood stasis ; chronic atrophic gastritis see the above symptoms . 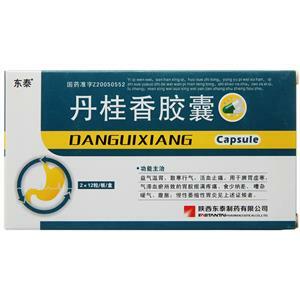 Replenishing qi and warming stomach, dispersing cold and promoting Qi, activating blood circulation and relieving pain. 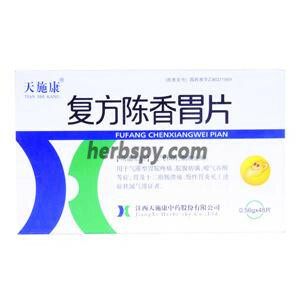 Prepared Milkvetch Root,Cassia Twig,Medicinal Evodia Fruit,Cassia Bark,Manchurian Wildginge,Peach Seed,Safflower,Chinese Angelica Root,Szechwan Lovage Rhizome,Red Peony Root,Danshen Root ,Tree peony Bark, Corydalis tuber,Turmeric Root,Common Burreed Tuber,Zedoary Rhizome, Leech Hirudo, Cucklandia Root,Trifoliate Orange Fruit,Combined Spicebush Root,Coptis chinensis Golden Thread,Rehmannia Root,Liquorice Root. 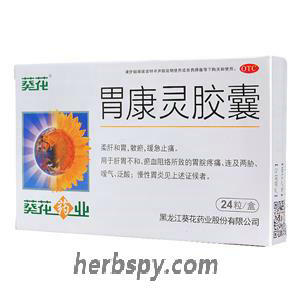 This product is hard capsule with brown to tan granules and bitter taste. 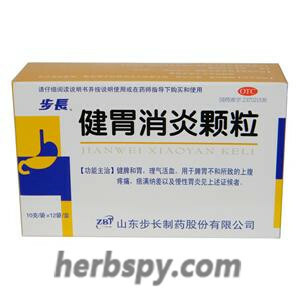 For oral use half hour after meals,4 capsules thrice daily,8 weeks (30 boxes) a treatment course or by medical ordor. Allergic to this product shouldn’t take it. 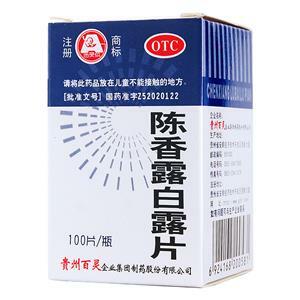 Patients with bleeding tendency are not allowed to take it. Stage Food and Drug Administration Approval number:Z20050552.